Since the dawn of mankind, humans have looked to the heavens and observed mysteries they couldn’t quite explain or understand. They regarded the sun and the moon with fear and trembling, believing them to be divine beings deserving of their obedience and worship. And the tiny pinpricks of light that hung suspended in the night sky were their ancestors watching them from on high. Today, we know the sun and the moon are anything but gods. And the stars aren’t protective ancestors. With that being said, mankind still looks to the sky to see things that seem to defy reason and established scientific fact. Strange lights and bizarre vehicles that clearly do not appear to be of earthly technology. Some theorize they are something more. Perhaps something not of this world, perhaps visiting and studying us. The United Kingdom is no stranger to these unidentified flying objects. Here is a small handful of some dating back hundreds of years. The 12th century in England was a time when superstition ruled the lives of common people. Demons haunted the darkness and dragons ruled the skies. Coming to us from 1113 CE, is one such “dragon”. 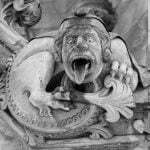 Religious pilgrims were traversing the southwest of England when they saw a sight that absolutely terrified them. They watched as a great dragon emerged from the sea belching fire and making only a noise the devil himself would make. They watched in awe as the dragon hovered overhead for a short time and then shot off into the sky. Before returning to their journey they beseeched God almighty to bless their pilgrimage as they believed Satan attempted to put a stop to their progress. A little more than a century later in January 1254, a scribe in St Albans recorded a marvelous sight. The scribe wrote of witnessing a “large, elegantly shaped ship equipped with marvelous colour”. The scribe beheld the ship for a time before it vanished before his awestruck eyes. UFOlogists widely believed the modern UFO age began in 1947, with the sightings of strange craft reported over Mt Rainier in Washington, USA by Kenneth Arnold. Nevertheless, there were numerous strange sightings in England leading up to Arnold’s sighting. 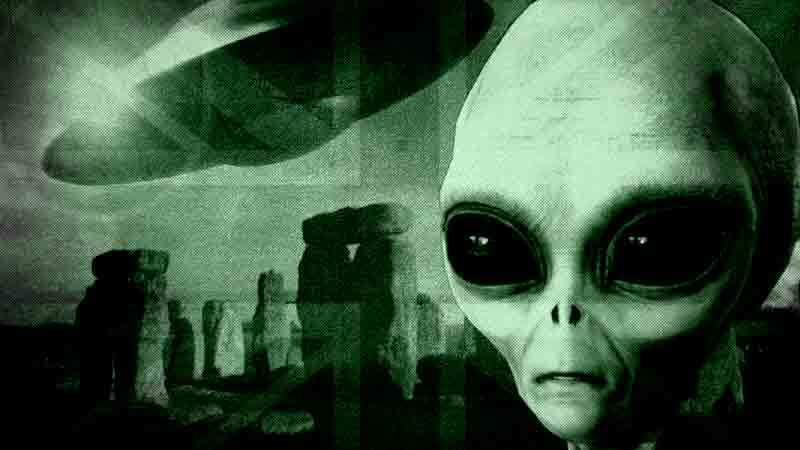 England has experienced many strange sightings in the sky since ancient times – now thought to be aliens! In 1942, a woman taking a stroll down Cheltenham High Street claimed she experienced an altered state of consciousness as she witnessed an oval shaped craft gliding over the rooftops. She reported the craft had lights running along its midsection and glowed an unearthly colour. When she returned to her senses, she claimed to have psychic powers and experienced unexplained phenomena in her home. High Strangeness is commonly reported following a UFO sighting and can last for years after the encounter. Many in the UFO community believe the governments of the world know far more than what they’re telling us about the UFO phenomena and actively cover-up their knowledge. It’s believed the first big cover-up happened in England in 1944. As the horrors of World War II were coming to a close, Winston Churchill, along with future US president Dwight Eisenhower, engaged in a cover-up of a UFO sighting by the RAF. On 5 August 1944, a reconnaissance plane returning from a mission in France reported the appearance of a metallic sphere that flew alongside the plane. According to the crew the sphere kept pace with the plane making it easy for them to take several photographs. After several minutes the sphere turned away and sped off into the distance. The matter only came to the knowledge of the public when the grandson of a crew member petitioned the Ministry of Defense for the records. If it was not for the man’s petition this incredible incident would have been lost to history. Moving ahead to 1987, we come to the bizarre tale of the Policeman’s Encounter. In December 1987, a retired policeman was taking pictures of Ilkley Moor when he discovered he caught the image of an extraterrestrial. As well as a white-coloured craft that quickly left the area while he was snapping pictures. Later, when he was subjected to hypnosis, it came out that he was the victim of an alien abduction and was put through painfully horrific medical examinations by the alien. This case is one of a handful of alien abductions in England that are believed to be real. The southwest of England has become somewhat of a hotspot for alleged extraterrestrial activity over the years. And March of 1993 was one very active time. For several days in 1993, multiple reports of a large, luminous triangular object flying over the towns and countryside flooded the local police departments. When the military got involved with the sightings they told eyewitnesses that the sightings were mistaken identity. According to the military the strange craft were just birds and other mundane airborne objects. January 2019, several eyewitnesses in East Anglia reported what they described as a triangular blimp like object flying in a high altitude zig zag pattern. And the weirdness of this episode doesn’t just end with a mere sighting of a weird object in the sky. Numerous people reported strange flu-like symptoms that sounded to some local doctors like radiation sickness. These unfortunate souls reportedly contracted the mystery illness after coming into contact with a being presumably from the UFO. When questioned the contactees all described a similar creature: glowing orange eyes, red skin tone and hands that were far too large for its body. The sightings, and the large handed being, vanished just as abruptly as they began and remains a mystery to this day. Encountering strange flying objects and weird alien beings is something that is generally dismissed as either misidentification or hoaxing. However, is it really that unreasonable to believe our tiny world in a backwater part of the galaxy has been visited by beings from another world? I don’t think so, but I remain cautiously open-minded on the subject. Have you seen a UFO – something in the sky you can’t explain? Tell us in the comments section below!